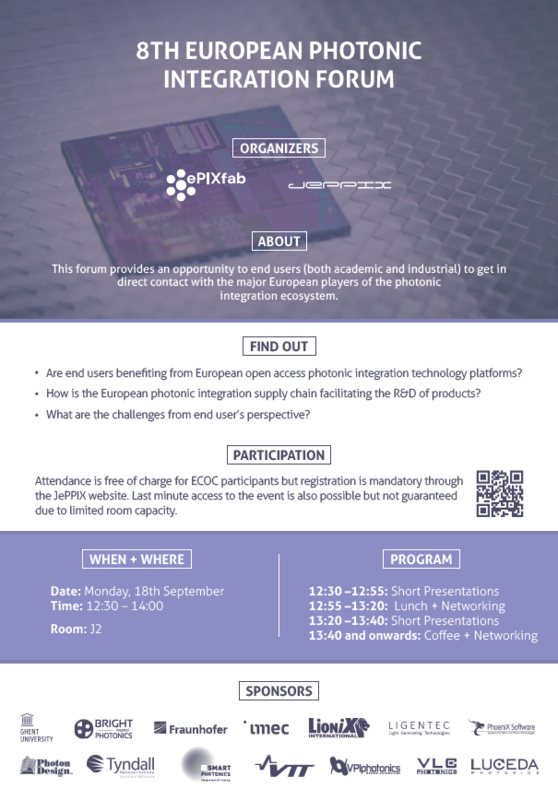 ePIXfab is presenting at the ECOC Market Focus 2018. Download the presentation HERE. ePIXfab is supporting the tutorial on Silicon Photonics given by Prof. Dries Van Thourhout of Ghent University at CLEO Europe on 25th of June 2017. Click HERE for more details. ePIXfab supported the 10th Annual PhoeniX software training from 20th to 24th February 2017 in Conference-hotel Drienerburght, Enschede. Photonics and Optoelectronics Winter School on integrated quantum photonics offered by ePIXfab member University of Trento Italy from March 26th to April 1st, 2017.
ePIXfab is giving an invited talk about European capabilities in Silicon Photonics at Fiber Optics Expo 2017 in Tokyo (Japan).